Synopsis: The highly anticipated three on three tag team fighting classic from Capcom is now here, after much waiting and requests to Capcom. 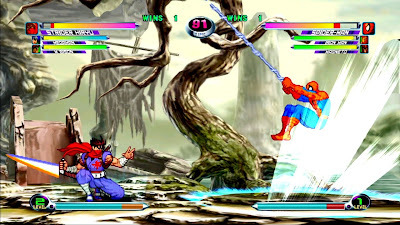 You now have 56 fighters at your disposal when playing by yourself or online, from Marvel’s heroes and villains to Capcom’s Street Fighters, Darkstalkers, and more. The ability to play online in ranked and player matches is a new feature to the title, along with widescreen support, HD graphics, and leaderboards. Praise: The best thing about this title is that nothing has changed in regards to gameplay, it is just as fluid as its Dreamcast predecessor. There is also a visual filter setting so that your characters look authentic to your favorite form, whether it be the Dreamcast, Playstation 2/Xbox, or HD style. Online is by far the best part of this remake, as you can battle in player matches to hone your skills and if you’re feeling overly confident with your team, you can fight in ranked matches and work your way up the new and extremely welcome leaderboards. From my experience with the online play, there was little to no lag in most ranked and player matches. Gripes: All of the characters are unlocked upon purchasing and downloading. Some may actually like Capcom’s choice to do so, but having to go back and play for hours and hours to unlock characters and costumes is what had me keep going back to the Dreamcast game for years. As epic as “Take you for a ride” is, after hearing it about 10 times in a half hour session does grow old quickly and sticks your head for days on end. 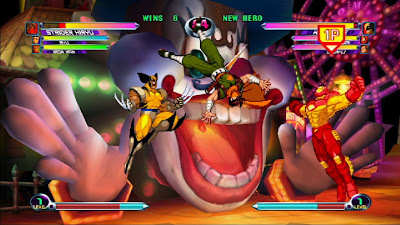 Overall, Marvel vs Capcom 2 is a welcome addition to the Xbox Live Arcade and Playstation Network library. Some may say it took way too long to happen, but even if fans had to wait an additional year or two, it would still have the same excitement and success. Along with fans being given exactly what they have been asking repeatedly for, they are also being given a free hip hop mixtape with songs inspired by the game. The mixtape is yet to have a release date, but Raekwon the Chef and Talib Kweli among others will be gracing it with their presence. 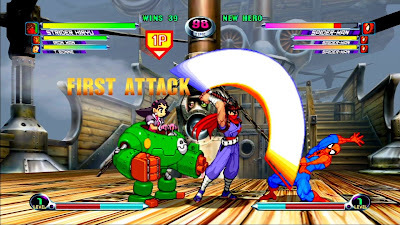 Mashbuttons.com gives Marvel vs Capcom 2 an 8 out of 10. 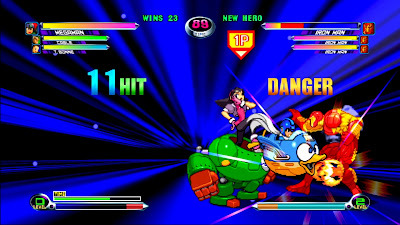 Marvel vs Capcom 2 is available now for the Xbox 360 and the Playstation 3 version of the title will be available on August 13th, both priced at fifteen dollars.